Maxine Ganske, library assistant III, received the Distinguished Service Award from the College of Architecture, Planning & Design. Ganske was officially recognized at the college's commencement on May 14. According to the presenters, "Maxine serves the Paul Weigel Library of Architecture, Planning & Design with selfless enthusiasm, not only meeting the needs of the students and faculty, but also leveraging the resources of the library to augment the numerous enhancement activities conducted in APDesign. Her dedication to quality of service and to expanding the collection is second to none as is her enthusiasm for learning." Jason Coleman, associate professor, published a book chapter titled "Reference and Instruction Generalists" in "Mastering Subject Specialties: Practical Advice from the Field," Ed. 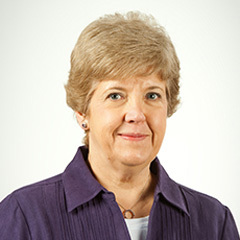 Karen Sobel. Santa Barbara, California: Libraries Unlimited, 2016. 3-12. Cliff Hight, assistant professor, is a contributor to the Dictionary of Archives Terminology, an online resource created by the Society of American Archivists. Entries are regularly featured in a Word of the Week program. Laura Bonella, associate professor, was named chair-elect for the Women and Gender Studies Section of the Association of College and Research Libraries. Lori A. Goetsch, dean of libraries, was appointed to the board of directors of the Kansas Humanities Council. Laurel Littrell, professor, was elected second vice president of the Kansas Library Association for a one-year term, which will be followed by one year as first vice president. She will serve as president in 2018. Rachel Miles, assistant professor, was elected to serve a two-year term on the continuing education committee for the North American Serials Interest Group. Livia Olsen, associate professor, was elected to serve as the coordinating committee chair for the Agriculture Network Information Collaborative. Several faculty members presented at the 2016 American Library Association's annual conference June 23-28 in Orlando, Florida. Jason Coleman participated on a panel, "Educating for the Future of Reference," moderated by Bryna Coonin, East Carolina University. Other panelists included Wendi Bost, Orange County, Florida, Library System; Linda Lillard, Clarion University; and Eileen Abels, Simmons College. Rebel Cummings-Sauls, assistant professor, chaired a table discussion, "To include or not to include: Cataloging open and free resources." Mira Greene, assistant professor, gave a poster presentation with Jason Coleman titled "Using Primo Search Logs to Improve User Experience." Rachel Miles participated on a panel titled "Scholarly Communication Librarians' Relationship with Research Impact Metrics," for the Association of Library Collections and Technical Services' scholarly communication interest group. Co-presenters included Robin Champieux, Oregon Health & Science University Library, and Ehsan Mohammadi, Northwestern University. Ryan W. Otto, assistant professor, presented a poster, "Not Your Father's Faculty Bibliography: Making University Scholarly Output Shine." His co-presenter was Athena Hoeppner, University of Central Florida. Joelle Pitts, associate professor, presented "ARG: Transmedia Storytelling for Library Engagement and Literacy" in a lightning round session titled "Great Games and Gamification in Libraries" for the Library Information Technology Association. Charissa Powell, assistant professor, presented "Adding Disaster Planning to the IRRT Free Links Project: A Project Providing Access to Free Professional Development Opportunities for ALA Members around the World." Her co-presenters included a team of her fellow ALA 2016 Emerging Leaders. Rebel Cummings-Sauls presented and led a discussion, "Collaborating Across Campus and the Community to Create Open Textbooks," May 18 at the Library Publishing Forum in Denton, Texas. Darchelle Martin, public relations officer, served on a panel presentation, "Not Just Another Brick in the Wall: Ideas for Constructing a Culture of Giving with Students and Young Alumni," at the Academic Library Advancement and Development Network Conference June 3 in Boston, Massachusetts. Her co-presenters included Britt Foster, California State University; Joyce Garczynski, Towson University; and Tory Gibler and Leia Droll, both of North Carolina State University. Rachel Miles presented "Is What's 'Trending' What's Worth Purchasing? : Insights from a National Study of Collection Development Librarians" June 3 at the 2016l NASIG Conference in Albuquerque, New Mexico. Her co-presenters were Sarah Sutton, Emporia State University; and Stacy Konkiel, Altmetric.com. Livia Olsen presented a poster, "The Dust Bowl: An Exhibit Connecting the Past to the Future & People to the Library," April 25 at the United States Agricultural Information Network Biennial Conference in Gainesville, Florida, with co-presenters David Vail, Kansas State University; and Meagan Duever, University of Georgia. Olsen also gave a lightning round presentation titled "Digitizing 'The Kansas Farmer'" April 26 at the United States Agricultural Information Network Biennial Conference. Ryan W. Otto, Rebel Cummings-Sauls and Rachel Miles, assistant professors, and Char Simser, professor, presented "Transcending Institutions and Borders: 21st Century Digital Scholarship at K-State" April 22 at the Kansas Library Association, College and University Libraries Section, spring conference in Manhattan. Michelle Turvey-Welch, associate professor, presented "Oh, the Many Places You Can Go with Small Configurations for Improved Alma Functionality" May 5 at the ELUNA 2016 annual meeting in Oklahoma City, Oklahoma. Three user services specialists have joined Access Services: Kim Bugbee, Zain Iqbal and Stephanie Kiersey. Sue Pray, who formerly worked in the Math/Physics Library, has relocated to Hale Library in her new role as interlibrary loan coordinator. James Smith, formerly a librarian assistant III specializing in copy cataloging, has taken on a new position as cataloging manager.